This elegant pitcher is more space-age and minimal than the iconic F!NK Water Jug – originally designed in 1994 for the Republic Restaurant in Canberra, Australia – but likewise is just as functional and build to endure. The pitcher is easy to hold and pour and will hold one litre of water. Titanium is a supremely durable and sterile material that can be used for any liquid from wine to water to even milk! 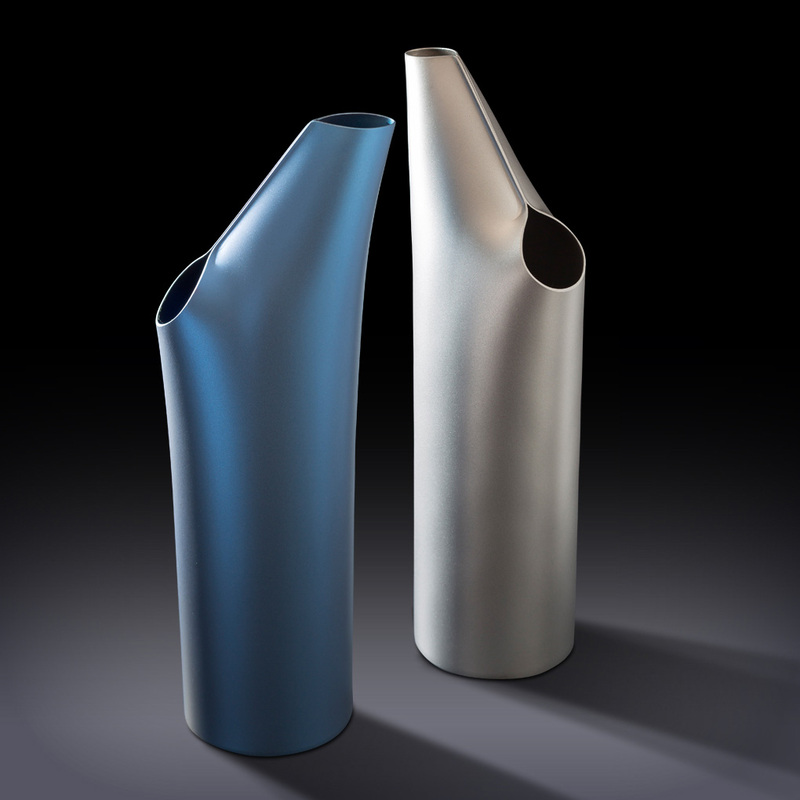 Like the anodised aluminium Water Jug, the Titanium Pitcher is also anodised and is available in raw titanium grey and anodised denim blue. More colours will become available over time.